Casa Art Hotel can be described as a boutique hotel, an art hotel or a family hotel, we are all of that and more! Such a diverse place cannot be defined by a simple label. 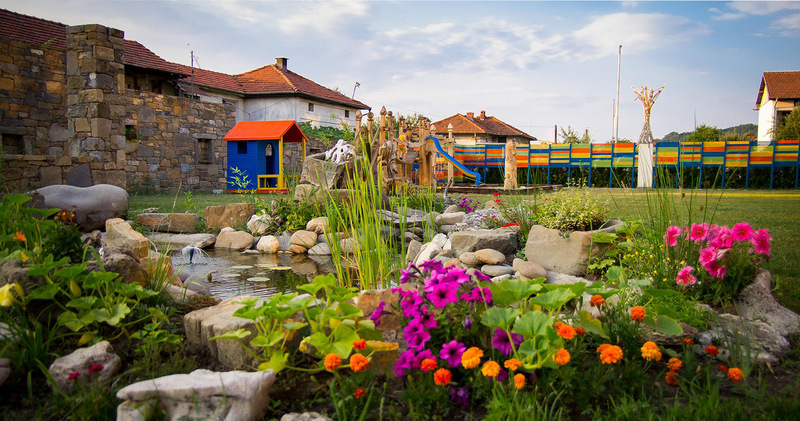 The family friendly Casa Art Hotel has established an extraordinary and colorful destination for you in the beautiful and historic landscape around Oreshak near the Troyan Monastery. The idea was to create something new, different, unique and extremely cosy – a delight for all senses. According to that, the interior of every room is individually put together and expresses a theme, natural element or material. The whole Casa Art Hotel – rooms, lobby, restaurant, terrace, garden and poolside – are decorated with love and devotion to every detail by Casa Art Interior. The concept was designed by the owners Biljana Milusheva-Petrov and Plamen Petrov. All of the furniture and decorative pieces are available through Casa Art. The hotel also functions as a showroom for Casa Art Furniture & Interior. Casa Art Family Hotel welcomes all its guests with joy and the promise for an exceptional experience. The Casa Art Family Hotel was established in the year 2009 by Plamen Petrov, artist and furniture maker, and Biljana Milusheva Petrov, gallerist and interior consultant. 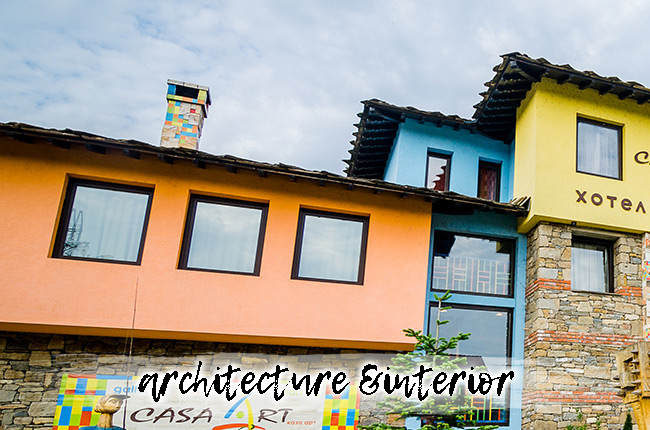 The artistic and creative duo has created an unique piece of architecture and design, the Casa Art Boutique Hotel, which is located in Oreshak, one of the most attractive and colorful places in the Troyan Balkan. Since then our hotel is evolving constantly, changing and rearranging interiors and outside areas. Because our Boutique Hotel also serves as a showroom we are able to design new interior concepts and create an unique atmosphere for everyone. The architecture of the Casa Art Family Hotel is based on Bulgarian renaissance architecture with its characteristic stone walls and magnificent tiled roofs. 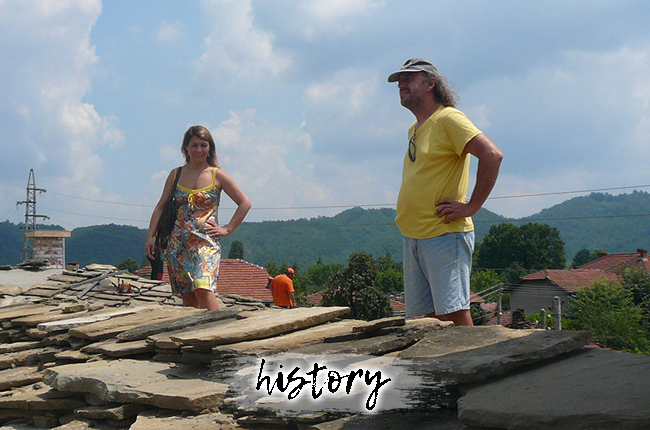 Most of the materials used for construction were collected from old Bulgarian houses, such as stones, bricks, beams and tiles that have been used to build walls and fireplaces centuries ago. These elements taken to the present, have cultural value and are revitalized through combination with modern materials, vibrant colors and artistic design. The idea to paint the facade of the Casa Art Family Hotel was based on the four most favorite colors of the artist Plamen Petrov - yellow, orange, blue and green. These colors became the corporate colors of the Casa Art brand. They are also imprinted in the logo, you can find them on the floor, on the columns of the chimneys, in the stained glass of the entrance gate, in the patchwork of the lobby sofas and painted on the cups and saucers of the restaurant. We have also experimented with colored lightings. The artistic impression is colorful yet subtle and welcoming. The concept of the interior at the Casa Art Family Hotel is based on an artistic interior design, in which each room represents itself. 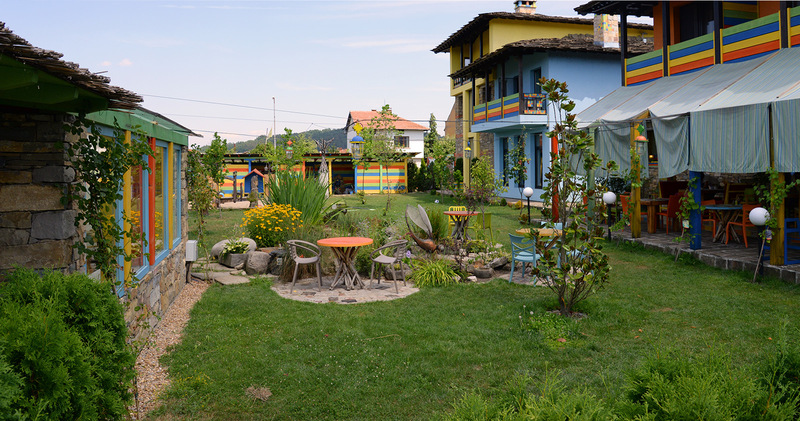 With the promising names - Eco Art, Ethnoromance or Poetry, Biljana and Plamen have created spaces with deep emotional complexity and artistic vision. They designed the individual rooms, lobby, bar and restaurant at the Casa Art Boutique Hotel with great love and attention to the smallest detail. The unique and distinguished rooms are filled with the vibrance of life echoing through furniture, lamps, colors, textures and accessories. “We wanted to create a natural link between the bedrooms and the bathrooms, both providing light, by giving the dividing wall a special and artistic look. Just another touch so the rooms can be aesthetically pleasing. We increased the space of the rooms by leaving the ceilings to follow the shape of the roofs.“, says Biljana. For the furniture in the restaurant Biljana and Plamen used beams of old Bulgarian houses which had undergone a modern interpretation, combined with picturesque cabinets and chairs, polished in the four corporate colors. Every corner, room and detail at the Casa Art Family Hotel has been created with a great desire to please our greatest critics and connoisseurs - our guests. The entire team at the Casa Art Family Hotel is motivated and ready to meet the maximum needs of our guests. In the Casa Art Family Hotel each room has an unique interior design we offer a great variety of culinary inventions, unique selection of workshops, tours and sporting activities, interesting cultural events and entertainment. Most hotels offer standard accommodation. Casa Art Family Hotel offers emotions. 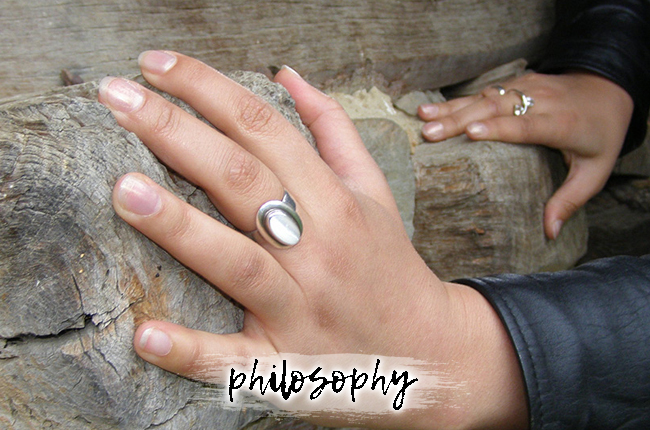 We believe that human beings are a result not only from genes, culture and value systems, but above all, of emotions. 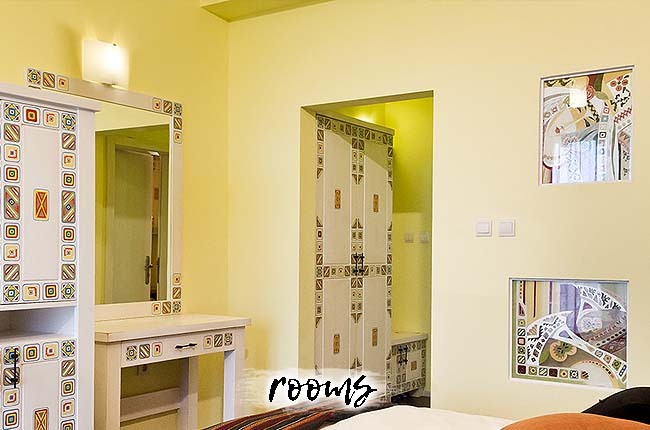 The concept of the Casa Art Family Hotel is based on faith and endeavors to satisfy the emotional needs of our guests. For us the quality of materials, furniture, food and service at the Casa Art Family Hotel is as important as the friendliness and warmth with which we welcome our guests. Arts Casa Art means home to the arts. The philosophy of the Casa Art Family Hotel has a central meaning and it is recognized in the paintings, sculptures, stared glass, crafted by the owner, the artist Plamen Petrov and other Bulgarian and foreign artists. 'Innovative' is not only our idea, but the philosophy standing out from the design of each of the rooms at the Casa Art Family Hotel and also from the culinary variety of our menu. 'Innovative' is also our idea of offering workshops where you can be able to make your own unique furniture. `Innovative' is to offer top business seminars in cooperation with top international consultants. 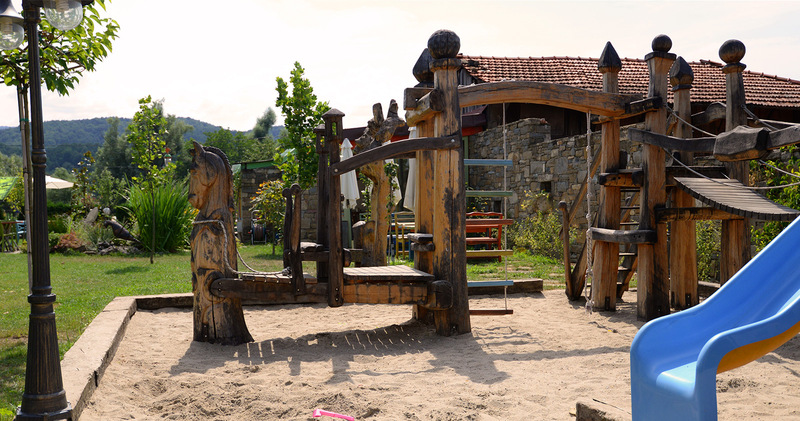 Art Family Hotel is an Eco Hotel that was mainly built with ecologically friendly building materials such as refurbished stones and bricks used for the walls, fireplaces and beams for the furniture and tables in the restaurant. All furniture is made from solid wood and the paint we used is free of harmful ingredients. The accessories are made from ceramic, glass and porcelain. Wherever it was possible we let the natural light enter the room. The pleasant scent in the rooms, the lobby bar and the restaurant comes from the natural mountain plants, flowers and herbs such as thyme, lavender, coffee beans, dried orange and lemon bars. In the kitchen of The Casa Art Family Hotel we prepare the meals with environmentally friendly food products. Arrive at the Casa Art Family Hotel in Oreshak and be welcomed by our friendly staff at the reception and lobby area. Our Boutique Hotel has seven rooms, four studios and three apartments, all designed in a different style. A small spa area with a sauna and massage room invites you to relax. 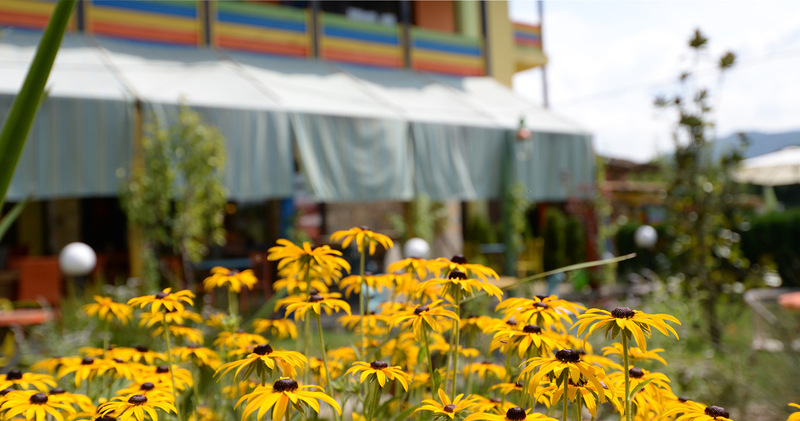 Check out our beautiful garden area with a big playground for the kids and a small, romantic flower pond. 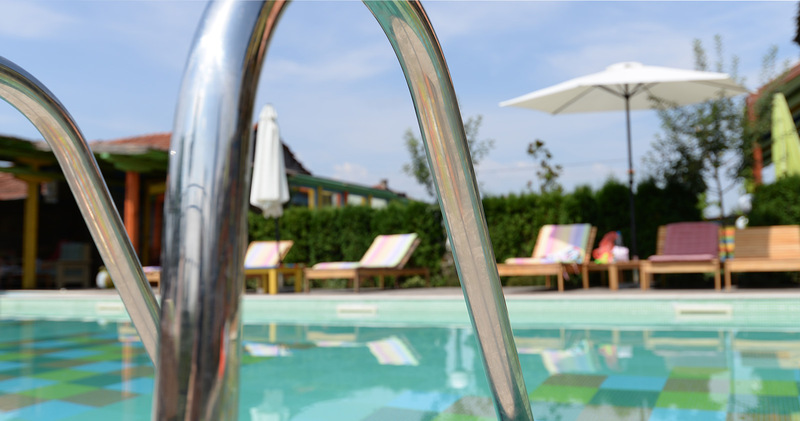 A unique poolside with a pool for the little ones and cabanas invite you to relax and get a real summer feeling. Enjoy the unique symbiosis of art, art furniture and the superb cuisine with all your senses in our Casa Art Gallery Restaurant. Here you can find our traditional Bulgarian dishes as well as our unique menus in which we have interpreted the philosophies of the rooms of Casa Art Family Hotel in a culinary way. End your day with a cold beverage or espresso on our beautiful terrace. Our parking premises are in front of the hotel. A small mini market and ATM machine are located on the side of our hotel.